We are an eco-conscious maker of gender-neutral, minimal and stylish baby and toddler shoes. All of our products are handmade in Maine using exceptionally soft, vegetable tanned leather. We invest time and care in sourcing the best, most eco-conscious and non-toxic, safe leather we can find. 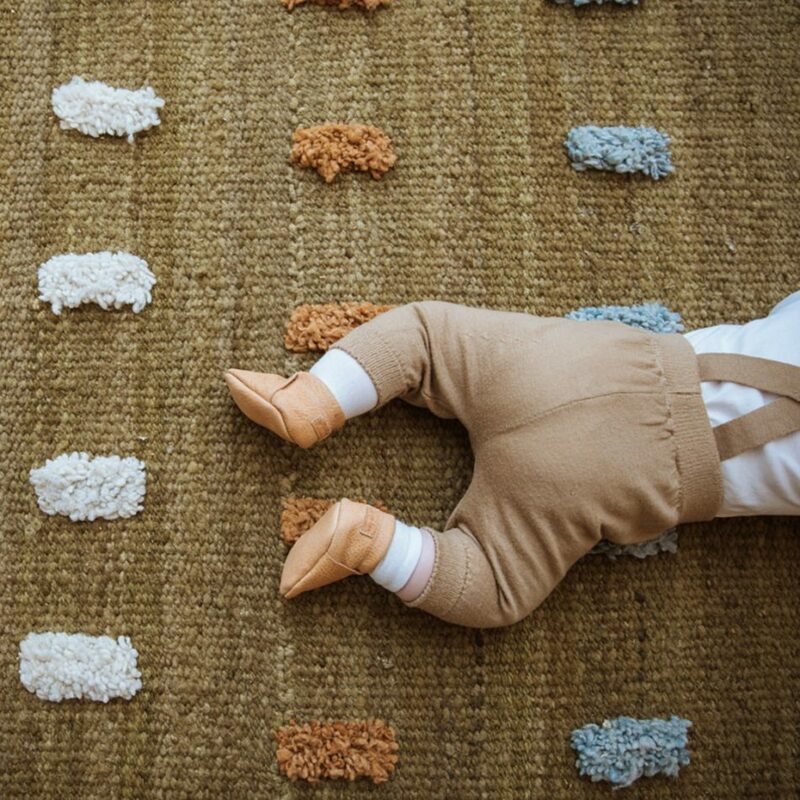 We do this not only because we care deeply about our impact on the environment but also because we want our shoes to be safe for the children who wear them, play with them, and likely chew on them. We currently offer two shoe styles: loafers and laced oxfords. Our shoes are designed for comfort and ease of putting on and off. Our Loafers are especially designed with an elastic closure to provide an extra secure fit–the last thing we want you to do is worry about losing a shoe! 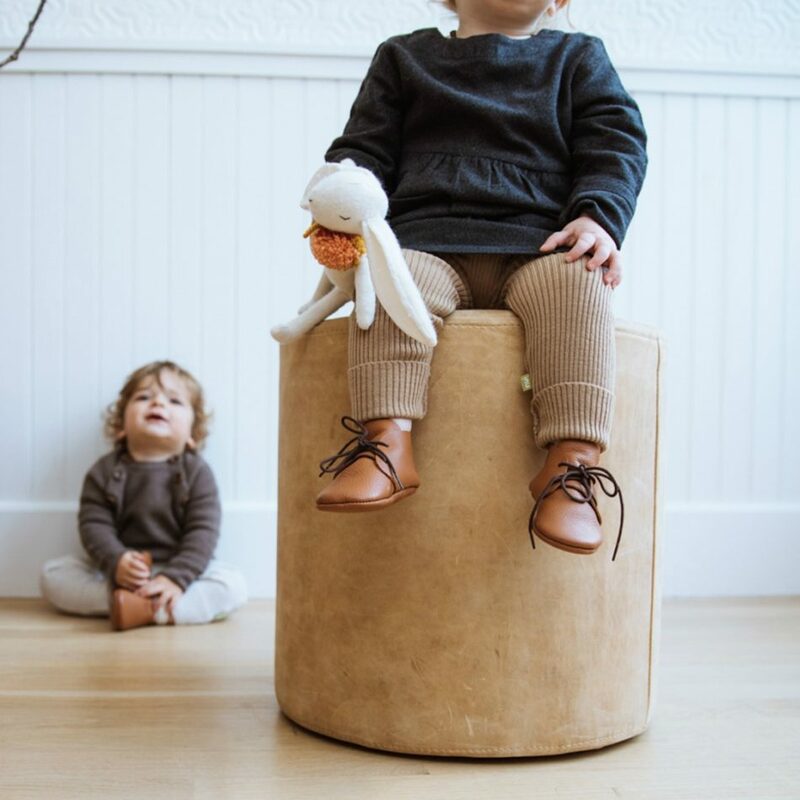 I started making shoes in 2015 when my son Gus was about 6 months old and have spent the past few years refining the product and strategizing about how to grow my business (in between having a second child and keeping up with my existing design clients). I am excited about this coming year, where I will have more of a focus on growing my business and turning it into a successful enterprise!